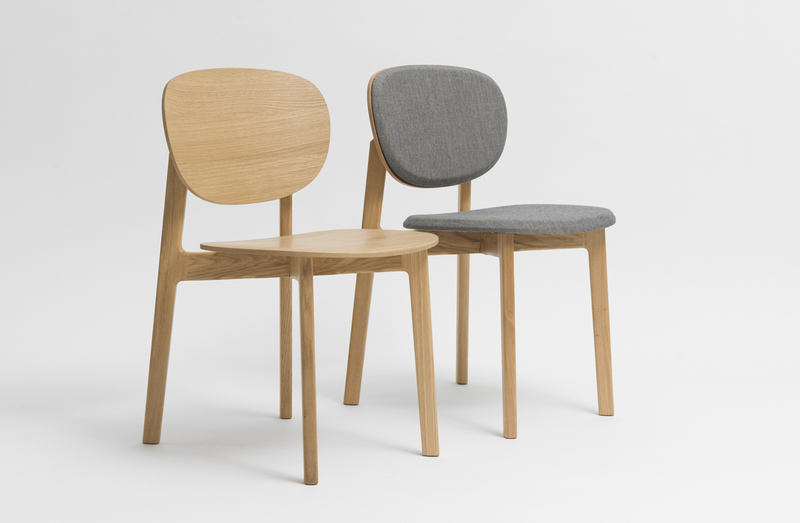 Dining chair with solid oak or walnut base, seat and back in wood veneer or upholstered. See ADDITIONAL SPECS to view available oak stain options. Stained oak or natural walnut wood.